Design Stuff — alanna powers. I took an interest in public relations while in Journalism school, and because of that I took classes that taught me how to use a lot of the Adobe Creative Suite. I'm happy to have acquired this little bit of knowledge and skill because it has come in handy a lot in internships and jobs I've held since. Here is some work I have done using Photoshop, InDesign and Adobe Illustrator. 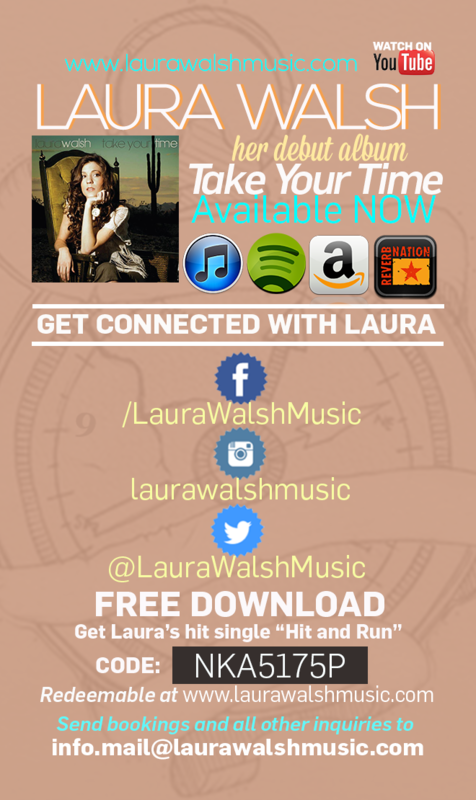 This is the front of a business card I designed for country artist Laura Walsh using Photoshop. This is the back of a business card I designed from scratch and created for Laura Walsh, under her creative direction, using Photoshop. Here is the Facebook cover photo I made for country artist Laura Walsh using Photoshop. I loved having creative control and how girly and dreamy this looks! This was a promotional flyer used for an MHA Event hosted by The Little Door, under the creative direction of MHA. That creepy cat in the corner is actually Little Door's logo. Who knew?! Here is one of the MANY slides I did for MHA and Lorena Sarbu for the end of the year. I designed the super simple template. This is a flyer I designed under MHA's creative direction for an upscale Lorena Sarbu event!